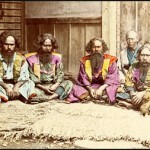 The Ainu are the indigenous peoples of Japan and far east Russia. 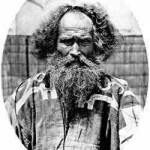 Although the true number of Ainu descendants living in Japan is unknown, it is believed that only 200 pure blood Ainu remain, most of these upon Japan’s northernmost island of Hokkaido. 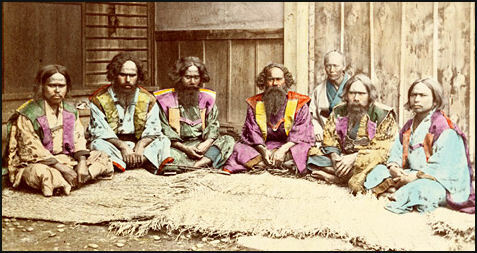 Though the Ainu have their own language, they do not have a written alphabet. The language and the culture of the Ainus is under constant assault from the realities of their present life. Even the spoken language is becoming much rarer. Sooner or later the Ainu way of life may die out and only records of their culture, their wisdom and their stories may lie buried. Genetically they more similar to dark-skinned groups found in Southeast Asia than the Japanese or Koreans. In Japanese history the period between 10,000 and 400 B.C. is known as the Jomon Period. The people of the Jomon culutre who lived at this time are regarded as Japan’s first major culture. Many scholars believe that the Jomon people were Ainu or at least that the Ainus are the descendants of the Jomon People. There are similarities between the two early peoples of Japan. The skull and facial structures of the Jomon people and the Ainu are similar to each other. DNA samples taken from ancient burials also indicates that the Jomon people were similar genetically to the Ainu but very different from modern Japanese. 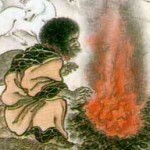 Ainus and Jomons differ from the modern Japanese. Sampling analysis shows that modern Japanese are similar genetically to modern Chinese and Koreans. 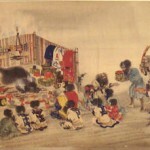 It is not denied that modern Japanese are settlers from the Chinese mainland and Korea. They are linked to Chinese and Korean peoples not Jomon and the Ainus people, the original people of Japan. Archaeologists have found Japanese-style Jomon pottery fragments on Vanuatu (a Pacific island east of Papua New Guinea and 6,000 miles south of Japan) dated to 3000 B.C. This suggests a cultural connection between the two cultures living so far away from each other. The Ainus suffered and still suffer a lot of discrimination. 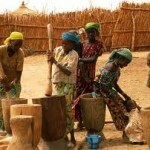 They face discrimination in getting jobs and social benefits. Their children face discrimination and bullying at school. They are called “inus” the Japanese words for dogs. 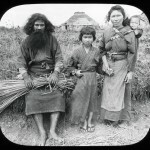 At the start of 20th century, the Ainu language was suppressed by the majority Japanese. 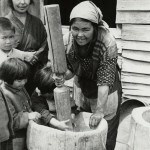 Their settlements were uprooted, they were forced to assimilate as lower class Japanese, and they were given land and neighbourhoods rejected by the majority Japanese. One can assess the level of racism against the Ainus when it is realized that the modern Chinese/Korean descended Japanese pretend that they are indigenous, rather than settlers; and they down-play the fact that there were original black muurish Japanese. Perhaps it is because they stole the land from the indigenes. Perhaps they do not want to recall the true owners of the beautiful land which they stole, the land belonging to another Asiatic black people, the Ainus, the last Muurs of Japan. ‘Death is as light as a feather but your duty is as heavy as a mountain’ ancient samurai motto for battle. Looks very much like my people in Australia, South Western corner of Western Australia. Studies say we are not related yet we are treated the same way we look the same and have a similar language and the area that I come from (the hills region out of Perth) we are called the Ko Ka or Kokka. My fathers people came from a place called Shurin and was later changed to Quairading by the English. My Totem is the Koya and there is a mt Koya in Japan. A town called Wagin, the same in Japan. The similarities are endless . So similar to australia. The aboriginals were the original owners of Australia, but the white (english) settlers came and thought no one lived there and took it as their own. The aboriginals also had their own languages that are now dying out and they were also discriminated (not now in the 20th century though). Our flag (the english union jack flag) was almost changed because it did not symbolise the aboriginals, now we have a second aboriginal flag. I think people now are starting to learn about the original owners of australia and are acknowledging them. Our country is very multi cultural though so we have learnt how to share our country. I hope Japan does the same. They thought no one lived there? Okay. Next! Ignorance is the weapon of the evil. Aborigines of Australia are the first people, and those western people from Britain they use this country as damping place for criminals. ainu people is malay people actually.malay.